Soak in the tub – A warm bath helps to relax your mind and body, which can help to promote a good night’s sleep. Sip herbal tea – While it’s a good idea to avoid caffeine consumption after lunchtime, enjoying a hot mug of herbal tea such as chamomile may help to induce sleep. Peppermint tea also has a calming effect as do lemon balm and passion flower. Sniff and relax with aromatherapy – Diffuse lavender essential oil and you’ll be off to sleep in no time. 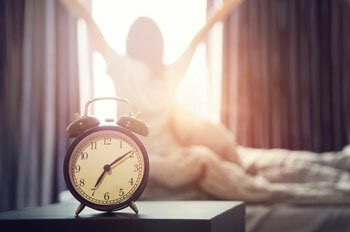 Regular chiropractic care also may promote better sleep. Call us today! Ah, the delightful aroma of a leg of lamb roasting with sage or oregano roasted chicken. Or, perhaps you crave the taste of mouth-watering oven-roasted potatoes with rosemary. While these herbs tickle the nose and infuse these dishes with terrific flav[o]r, they also fill them with fantastic, anti-inflammatory antioxidants. When we consume an inflammatory diet, which includes foods high in sugar, dairy, refined flour, artificial additives and saturated fats, we’re setting our body up to fail. Because our body doesn’t need these ingredients to thrive, it views them as an invader, going into defense mode and thus causing inflammation. However, anti-inflammatory properties in herbs like oregano, sage and rosemary may help reduce the risk of certain diseases and conditions. 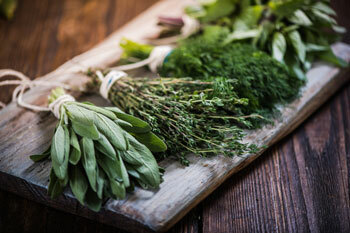 As fresh and dry herbs contain an equal amount of antioxidants, use whichever type you prefer. Fresh herbs can be grown quite easily and affordably, and tend to be more aromatic and flav[o]rful. Poor sleeping, texting and other routine activities can literally be a pain in the neck. Here are some tips to remember that can help you avoid neck pain. DO: Choose a pillow that supports and maintains your neck’s natural curve. A pillow that is too soft doesn’t give your neck the support it needs, and pain can result. DON’T: Bend your head down for any length of time to text or use another electronic device. Doing so can cause unnecessary strain and resulting pain. DO: Perform regular strengthening and stretching neck exercises each day. We would be happy to provide you with some beneficial ones. DON’T: Burden your back and neck with a backpack, bag or briefcase that is too heavy. Lighten your load. One of the best ways, of course, to minimi[z]e neck pain is through chiropractic care.